Why would I need self storage in Naples, FL? There are a variety of reasons why you might need self-storage in Naples, FL. How much is a storage unit in Naples, FL? The cheapest storage unit in Naples, FL is $19.00 per month. What size storage units do you have available in Naples, FL? In Naples, FL we have sizes that range from 4'x4' to 10'x30' to suit your storage needs. How much is it for a 4'x4' storage unit in Naples, FL? The cheapest 4'x4' storage unit in Naples, FL is $29.00 per month. Naples is an affluent city located on the Gulf of Mexico, the county seat of Florida's Collier County and one of the wealthiest cities in the United States. Its prime location on the Gulf of Mexico makes Naples an attractive vacation destination, and it's home to a growing population of both seasonal and full-time residents. Naples is considered one of the most relaxed communities in Florida, which makes it the perfect place to start a career, build a family or retire. Naples' history starts in the mid-1800s when settlers arrived, attracted by plentiful fishing opportunities and the town's mild climate. During the 1880s, a number of national publications compared the area to the Italian peninsula of Naples, noting similarities between the two areas' sunny climates and abundant natural resources. The railroad reached Naples in 1927, providing a direct connection to the larger city of Miami. However, Naples would have to wait until after the Great Depression and World War II to see any significant growth. During the 1960s, several canals were added throughout the city, and new residential communities were established through the 1990s. Naples quickly became a recreational attraction and experiences a booming tourist trade to this day. With a relatively small population, Naples offers plenty of convenience in a small-town environment. It's a beautiful place to live with excellent job growth, making it among the top-rated Florida cities in terms of livability. Naples offers plenty of access to everyday amenities, from supermarkets and gas stations to coffee shops and restaurants. The low crime rate and excellent job prospects are two more reasons that Naples is becoming an increasingly desirable place to live. Despite its high cost of living, Naples has been described as one of the few U.S. cities worth the expense. Tourism is a major industry in Naples, due largely to its long list of attractions. As a Naples resident, you'll have easy access to these popular destinations, which range from nature preserves to cultural institutions. Everglades National Park, Florida Panther National Wildlife Refuge and the Corkscrew Swamp Sanctuary are just a few of the many places you can explore Naples' natural landscapes. If you enjoy shopping, you'll find a number of high-end boutiques at the Village on Venetian Bay, or you can visit the collection of antique shops and local establishments at Tin City. A number of beaches and parks also provide plenty of opportunities to enjoy the Florida sun and live an active lifestyle. Collier County Public Schools (CCPS) operates the public schools of Naples. In addition to regular elementary, middle and high schools, CCPS also manages alternative programs and technical schools. Alternatively, you can enroll your child in one of several private schools in Naples. There are no colleges or universities directly within the Naples city limits, but several campuses are just a short drive away. Hodges University and Florida SouthWestern State College both have campuses 10 minutes or less from Naples. Utilities: Florida Power & Light (FPL) is the city's central energy provider. Water and sewer services are provided and billed by Collier County. Garbage and Recycling: Trash is collected twice a week, and recyclables and yard waste are picked up weekly. You can expect regular collection services, with the exception of a few major holidays. Transportation: Collier Area Transit operates several bus routes through Naples, with service available seven days a week. Naples offers numerous housing opportunities, including single-family homes in suburban neighborhoods and high-rise condominiums. Most residential housing communities are governed by individual homeowners associations. You'll find multiple gated communities as well as homes on large parcels of land throughout Naples. The housing market in Naples includes some of the nation's most expensive houses, with many homes selling for millions of dollars. However, there are also options that are more budget-friendly, though prices are still considerably higher than state and national averages. Our lowest priced units in Naples, FL average $30.75 per month. 207 people have reserved units in Naples, FL in the past 30 days. 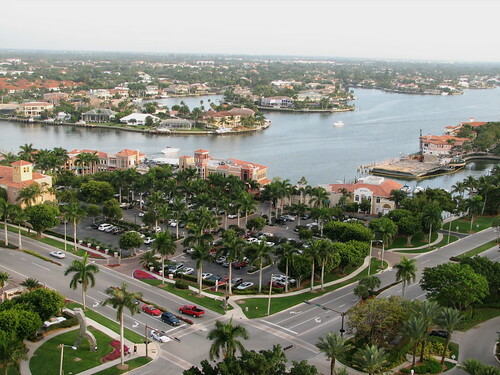 There are 4 locations within Naples, FL's city limits. There are 4 locations in Naples, FL that offer AC and Heating features.